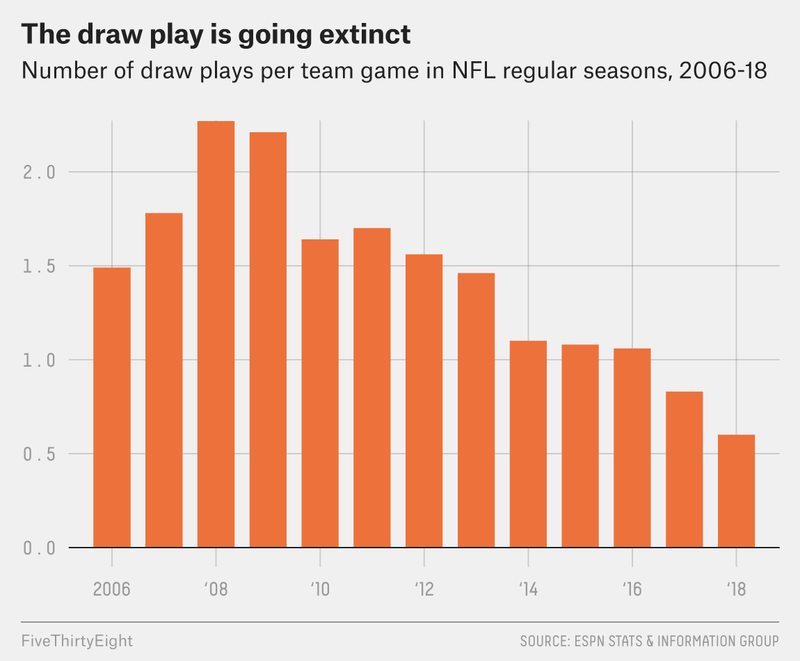 The Kansas City Chiefs employ the draw play more than most teams. Third-down draws are often in long-yardage situations in which a team is simply setting up for a punt. Measured by whether the play resulted in positive expected points added.